It's not easy to live in a place where the air actually hurts you for the better portion of the year. Choosing to settle down in environs known for harsh winters is a blaring form of masochism -- it's willful self-torture. That said, it's not always avoidable. It seems you're left with no choice but to drink away the cold. 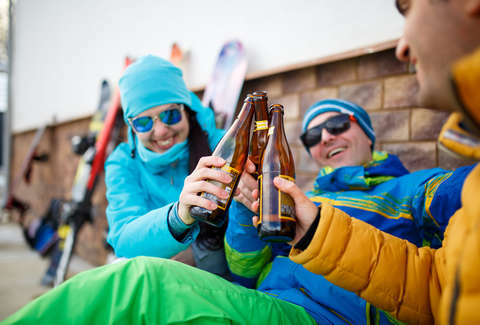 Fortunately, according to modern science, you need not feel bad about your seasonal drinking habits: A recent study shows that statistically, people who live in colder climates drink more than folks in places where the weather isn't consistently trying to kill you. At the very least, it's not your fault. "Why do people in Russia drink so much? Why in Wisconsin? Everybody assumes that’s because it’s cold,” said Dr. Ramon Bataller, chief of hepatology at UPMC, associate director of the Pittsburgh Liver Research Center, and lead researcher on the study, in a press release. “It’s something that everyone has assumed for decades, but no one has scientifically demonstrated it." With the help of 13 other researches, Bataller set out to determine, with finality, the relationship between alcohol intake and climate. 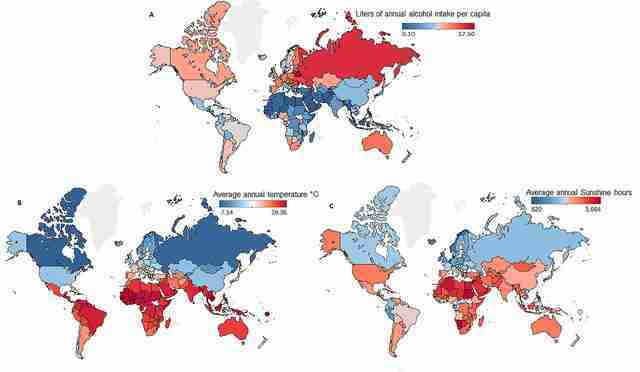 Using public health data and meteorological maps, he and his team determined that numerically, the populations in regions with colder climates are more inclined to drink more -- and suffer from liver conditions as a result. “This is the first study that systematically demonstrates that worldwide and in America, in colder areas and areas with less sun, you have more drinking and more alcoholic cirrhosis,” Bataller explained. The precise reasons for this correlation remain unknown, though the paper posits a handful of theories. First, alcohol is what's known as a vasodilator, which simply means that it draws warm blood to the skin. In short, your so-called "liquor jacket" is real (though let it be known it's not a substitute for an actual jacket). Beyond the physical benefits, there's the emotional end of things. It's no surprise that living in a place where going outside hurts your face is not good for morale. Drinking, however unproductive, is a short term morale booster. So while you're feeling blue because you're effectively in social hibernation to avoid death-by-cold, a drink doesn't sound like the worst thing. Down the road, your liver will disagree. On the other hand, the cold may kill you before the alcohol does. It's really just a question of priorities.